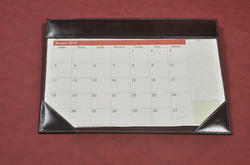 Executive Table Leather Planners are having 6 or 12 leaves printed planning details per month in all sheets. 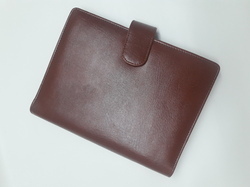 We bring forth for our clients an exquisite range of Leather Planner Diary. Our products are spacious enough to carry necessary items with ease. In order to match up with client's personal taste, we also offer custom made products on request. - Included Components: Min 100 Qty.